Tamilnadu State Road Transport Corporation operates bus services from Coimbatore to Mysore via Sathyamangalam, Bannari and Chamarajanagar. At present there are 7 services operated in a day from Central Bus Stand located at Gandhipuram. 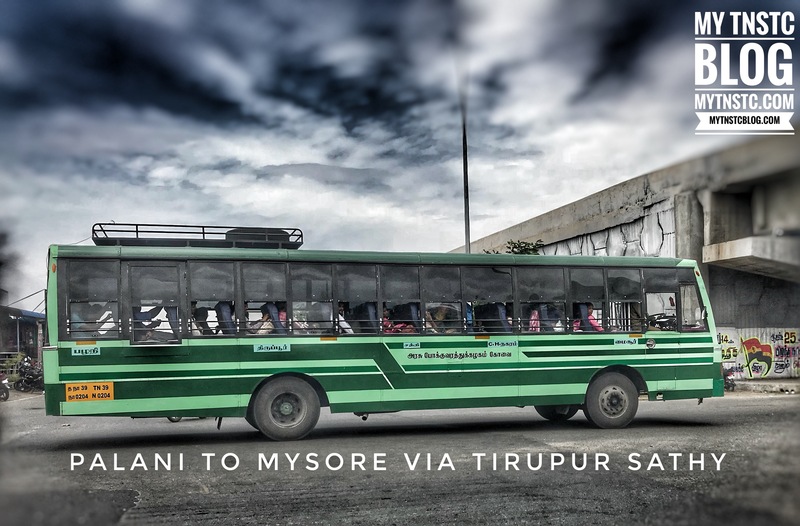 The bus timing from Coimbatore to Mysore are 6:40 am, 8:40 am, 9:20 am,11:15 am, 4:35 pm, 7:43 pm and 11:00 pm. At present the services does not have online reservation facilities. Sir please say annur to Mysore bus timing. Bus departure time in annur? ?